Jacques and I are both originally from South Africa but met while living in London. 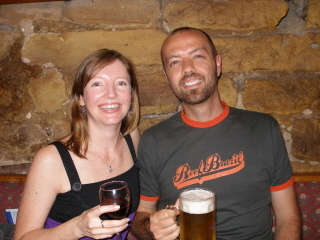 We were married in 2000 and spent the next 7 years in the UK working to travel. In 2007 we packed up and went to Australia where we did our first 4x4 trip up the east coast of Oz from Brisbane; to Cape York, across to Darwin and then down the middle to Melbourne and up to Sydney where stopped and settled (but not for long!). Our dream (and plan) now is to do a trip from Australia to London taking in Russia, Mongolia, the Stans and western Europe and on to London, after which we will then head from London down the east coast of Africa to our native land - South Africa. This will be our home for the next 12 to 18 months. 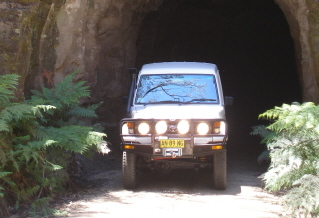 A Toyota Landcruiser Troopcarrier, 2000 model, 4.2 litre diesel. We have added a few things to make it a bit more 'user friendly' for what we are doing and of course trying to make it as comfortable and practical as possible too. You would think that this should be easy with such a big vehicle, but this is unfortunately not the case...especially if you are going to be sleeping inside as well. Click here to learn more about Pumbaa II's evolution (seey).